The Black Lives Matter Movement has grown into the largest black-led protest campaign since the 1960s. While specific goals and tactics vary by city and state, overall the movement seeks to bring attention to police violence against African Americans and in particular the use of deadly force against mostly unarmed civilians. While the issue of police brutality and unnecessary deadly force has been a focus point of black anger and frustration through much of the 19th and all of the 20th centuries, the violent death of 17-year-old Trayvon Martin at the hands of neighborhood watch captain George Zimmerman in 2012 galvanized various efforts into a single national movement. This page which begins with an article by Professor Herb Ruffin describing the founding (and founders) of the movement. 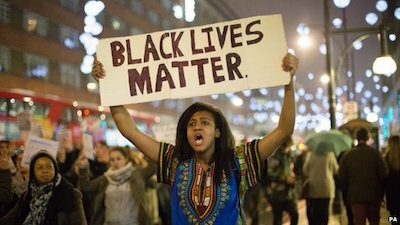 The entries that follow identify incidents both before and after 2012 which have inspired the activism of Black Lives Matter members and supporters.